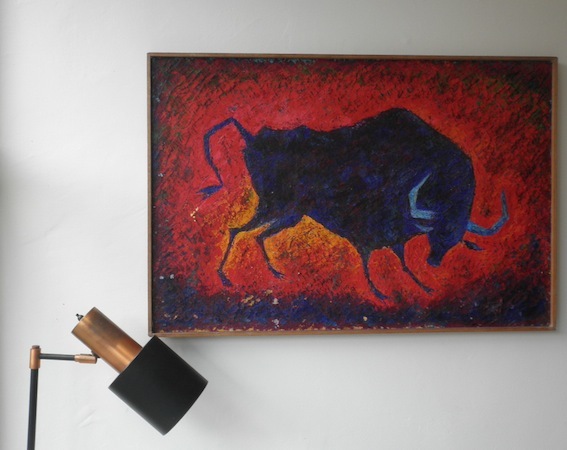 Fantastic super retro bull painting in oil on board with original hardwood frame. It would look great with lava glazed pottery and bitossi stylised bull ornaments. So 1960s in thick textured paint and vibrant colours.